biomass-fuelled power plants: 8.74 per cent. The substantial amount of clean energies in Brazil is a direct result of the federal government's efforts to introduce renewable energy sources into the national energy market with the purpose of diversifying the country's energy mix. As outlined below, the federal government has carried out initiatives such as the creation of the Programme of Incentives for Renewable Electric Energy Sources (Proinfa) in 2002, and the promotion of a number of public auctions carried out by the National Electric Energy Agency (ANEEL) and the Ministry of Mines and Energy (MME). In 2017 and the beginning of 2018, after two years of economic and political crisis and changes in the federal government resulting from former President Dilma Roussef's impeachment, the federal government undertook the organisation of public auctions for the construction of new power plants and the supply of their energy to distribution companies. In addition, governmental authorities initiated a debate concerning a review of the legal and regulatory framework applicable to the energy sector. Along with the recovery of the national economy and stabilisation of the political situation, this initiative was important in focusing the attention of national and foreign investors in the Brazilian electric energy market once again, which was evidenced in an increase in M&A transactions as well as in the competitive energy auctions held at the end of 2017 and the beginning of 2018. 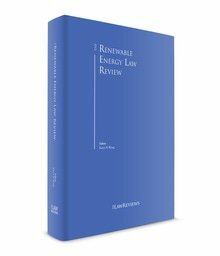 With these general remarks in mind, this chapter details how past and recent governmental initiatives have affected and helped to develop the Brazilian renewable energies market. For the Brazilian energy market, 2017 was a very challenging year characterised by the restarting of government auctions for the acquisition of energy produced by new plants, and the start of discussions associated with the reformulation of the legal and regulatory framework applicable to the sector. During the years that preceded 2017, in addition to the economic and political crisis faced by the country, the Brazilian energy market struggled with a scenario in which distribution companies had contracted more energy than was necessary for their markets (over-contracting status), and entrepreneurs that were unable to construct their power plants due to difficulties associated with the Brazilian economic and political crisis. Due to excessive energy in the market and a number of projects facing delays associated with the start of their commercial operation, the mechanism for compensation of surpluses and deficits (MCSD) played a role from 2016 to 2018 in balancing the demands of the national energy market. MCSD is a mechanism similar to an auction provided by ANEEL's regulation that allows a partial, total, temporary or definitive reduction of the amount of energy contracted under energy trading agreements in the regulated environment (CCEARs). The purpose of MCSD is to balance existing energy surpluses in the market. In summary, distribution companies with a lack of energy are able to contract energy in the free market (ACL), while distribution companies with excess energy will be able to suspend their obligations to purchase energy under a CCEAR. The mechanism was considered extremely relevant from 2016 to 2018 because it allowed projects facing commercial operation delays to keep their CCEARs, and distribution companies with excess energy to balance the CCEARs currently in force. In addition to MCSD, ANEEL also carried out an auction specifically to cancel CCEARs currently in force, and enacted a specific regulation – ANEEL Resolution No. 7114 – allowing distribution companies and power producers to renegotiate the terms and conditions of their CCEARs, especially those relating to conditions regarding terms and energy amounts. As with MCSD, this measure assisted power producers struggling with commercial operation delays to keep their CCEARs, and to meet a scenario in which several distribution concessionaires were facing excess energy. In August 2016, the National Congress approved the former President's impeachment, resulting in the appointment of Michel Temer as President, and in several changes associated with the federal government's structure and personnel. With the stabilisation of the economic crisis and changes in the federal government, and to meet market demand for new energy auctions (which have been rare since 2014), at the end of 2017 MME and ANEEL carried out two auctions for the delivery of energy produced by thermal, hydro, photovoltaic and wind power plants within four and six years of the occurrence of the auction (as explained below – 'A-4' and 'A-6' energy auctions). These bids represented the restoration of the auction system in the Brazilian energy market. According to Energy Research Office (EPE) information,5 708 projects were technically accredited to participate in the A-4 2017 auction (58 hydro power plants, 20 biomass-fuelled thermal power plants, 315 wind and 315 photovoltaic power projects). Of this total, only 25 projects sold energy in the bid, representing 891.1MW for the interconnected system. The table below summarises the number of projects that won the relevant auction per energy source and the average prices charged by the future power producers (average goodwill of 54.65 per cent in comparison with the ceiling prices defined under the auction rules). In the A-6 2017 auction, nearly 887 projects were technically accredited by EPE to participate in the bid (46 hydro power plants, 30 biomass-fuelled thermal power plants, seven gas-fuelled thermal power plants and 803 wind projects). Within this total, only 63 undertakings were declared winners in the auction, representing 3,842MW for the interconnected system. The table below summarises the number of projects that won the relevant auction per energy source and the gain obtained by the grid compared with the ceiling prices. In the A-6 auction, it was also possible to observe an increase associated with the participation of gas-fuelled power plants (especially liquefied natural gas power plants), which are called on to produce energy during periods of variations in the production of energy from hydro, wind and photovoltaic sources. In view of the successful auctions held at the end of 2017, MME and ANEEL carried out another A-4 auction on 4 April 2018, the résumé of which is presented below. MME has scheduled a new A-6 auction to take place on 31 August 2018. As a result of changes to the federal government's structure and personnel, in July 2017, MME opened two public hearings aimed at receiving contributions from market players to reformulate and improve the Brazilian power sector's legal framework. The first public hearing discussed general principles and guidelines applicable to the sector, while the other discussed specific measures that could positively affect the market. These public hearings resulted in a draft of Bill of Law, which is now under discussion by Congress. The main provisions addressed by the public hearings that affect the Brazilian renewable energy market were a change in the tariff benefits related to renewable energy, the expansion of access to the energy free market and the creation of capacity public auctions. The hearings recommended the end of discounts applicable to transmission and distribution use-of-system charges (respectively TUST and TUSD fees) for new renewable energy projects, as well as discussing the impossibility of their renovation by brownfield power plants after the term of the relevant licence. This recommendation was based on the fact that Brazil has already developed a sustainable and strong renewable energy market and, therefore, this provision has been maintained by the Bill of Law. The hearings also recommended an 'incentive award' to replace the aforementioned discounts, which would vary according to the amount of energy produced by the plants. However, the Bill of Law did not adopt the suggestion, providing alternatively an obligation for the federal government to create policies to stimulate the use of renewable energies up to 31 March 2020. As detailed in Section III.i, Law No. 9,4276 authorised ANEEL to grant a discount on the TUST and TUSD fees for wind, solar, biomass and small hydro power plants, which were able to lower their costs of production and, therefore, the price of the generated energy. With regard to the free market, the hearings suggested its gradual opening to new players until 2028 by decreasing the access requirements from 200kW to 75kW of power consumption. The Bill of Law retains the idea of a gradual opening, but the end of this process would be 2026 (and not 2028). Additionally, by 2026, there would be no access requirements, which means that anyone interested in participating in the free market would be able to do so. Finally, the hearings also suggested the possibility of the creation of public auctions specifically for the sale of capacity (instead of the currently existing auctions whose purpose is to sell energy produced by power plants). These discussions fostered the interest of national and foreign investors in the market, as evidenced in the competitive energy auctions held at the end of 2017 as well as in the increase of M&A transactions during the entire year. Based on information provided by Transactional Track Record, renewable energy power producers participated in 35 M&A transactions between January 2017 and January 2018.7 These transactions demonstrate not only the entrance of new players in the Brazilian renewable energies market, but also the consolidation of the participation of large players in the sector through the acquisition of smaller projects or projects developed by third parties. In addition to the energy auctions held to strengthen the participation of renewable energies in the Brazilian mix, in January 2018, the government requested its admission to the International Renewable Energy Agency (IRENA). The Agency defines itself as 'an intergovernmental organisation that supports countries in their transition to a sustainable energy future, and serves as the principal platform for international cooperation, a centre of excellence, and a repository of policy, technology, resource and financial knowledge on renewable energy'. To fulfil its goals, IRENA provides practical tools and policy advice for governments wishing to change their energy matrix to increase sustainable energy participation up to the country's potential. Brazil's admission into IRENA assures the government's commitment to investing in and expanding its clean energy power plants, in addition to a significant increase in the solar and wind power offer over the past two to three years. Finally, on 23 February 2018, Centrais Elétricas Brasileiras SA – Eletrobras announced the sale of its equity interest in 23 special-purpose vehicles that own wind power projects, as well as in 11 transmission companies. To date, Eletrobras has not enacted the rules that will guide the auction in which the shares will be sold. First it should be noted that the Brazilian legal framework currently does not contain a definition of what should be considered as renewable energy. However, as explained above, some renewable energy projects are entitled to obtain a discount applicable to connection tariffs for the use of the transmission and distribution system, namely, small hydro power plants with a power equal to or less than 50MW (provided that the discount is only applicable for 30MW delivered into the system), and solar, wind and biomass or qualified cogeneration, in accordance with ANEEL's regulatory definition, with power equal to or less than 300MW. In addition, certain energy sources are the object of public auctions held by MME and ANEEL specifically for renewable energies. The introduction of renewable energies into the national matrix was one of the solutions brought forward by the federal government to contribute towards the diversification of the Brazilian mix following an energy crisis that occurred during 2001 and 2002. The first initiative regarding the introduction of renewable energies into the Brazilian matrix relates to the creation of Proinfa by Law No. 10,438.10 Through Proinfa, power producers could participate in a bidding procedure to sell energy to Eletrobras, as offtaker, within long-term CCEARs and under fixed and predetermined prices. The selection criteria within Proinfa bidding procedures include priority for projects with environmental licences granted before those of their competitors. The price paid under Proinfa CCEARs, as well as the costs related to the maintenance of the programme, is supported by all end consumers (except low-income residential consumers) through the collection of a charge imposed by Proinfa. Pursuant to Law No. 10,438/2002, Proinfa would be executed in two phases. In the first phase, the programme would encompass the implementation of 3,300MW from wind, small hydro and biomass-fuelled power plants, fully funded by final consumers. After the implementation of the first phase, the second phase would comprise the development of additional renewable power projects so that, by 2022, such projects would account for 10 per cent of the energy offer in Brazil. In accordance with Eletrobras, Proinfa's first phase resulted in the implementation of 119 renewable energy projects with a total installed capacity of 2,649.87MW. The second phase of Proinfa has never been launched. As further explained below, straight after the creation of Proinfa, the federal government implemented changes to the energy sector's regulatory framework, which resulted in the establishment of the successful governmental auctions. In accordance with Law No. 10,848/2004, the purchase and sale of power may take place in the free market (ACL) or in the regulated market (ACR). In the ACL, generation companies and traders can freely negotiate the price for the sale of energy to other generation companies, traders, and free and special consumers. In the ACR, distribution companies buy energy from generation companies that have won public auctions organised by the federal government. The conditions, amounts and rates for sales of energy are determined through auctions. There are different types of power generation auctions, namely A-N ('N' being the year after the auction during which the power producer must start to deliver energy to the relevant offtakers) and auctions specifically for renewable energies. For details related to participation in ACR auctions, see Section III.ii. Investors declared winners in ACR auctions are awarded concessions or authorisations for energy production; commit to build the project with which they won the auction; and have the right to execute long-term CCEARs with distribution companies. Additionally, Law No. 10,848/2004 created reserve energy auctions in which investors can register generation projects and compete with each other for the lowest electricity price. If they succeed, investors are entitled to execute a reserve energy agreement (CER) with the Energy Trading Chamber (CCEE) (acting as representative of all consumers). Under this scenario, by guaranteeing an exclusive environment for energy trading and long-term CCEARs, the federal government has fostered the devel­opment of the renewable energies market in Brazil. With regard to other incentives, as mentioned previously, Law No. 9,42712 authorised ANEEL to grant a discount in the TUST and TUSD fees for wind, solar, biomass and small hydro power plants. In addition, Law No. 13,203/2015 provides that biomass, wind and solar power plants will receive a 50 per cent discount on TUST and TUSD fees as long as their production capacity is lower than 300MW. provided that the projects participated in energy auctions in or after 2016, and the projects were granted with licences in or after 2016. ANEEL authorised a further discount of 80 per cent for solar plants that began operations by 31 December 2017, with a reduction to 50 per cent after the 10th year of operation. Based on the aforementioned policy and incentives, the federal government was able to introduce and strengthen the participation of renewable energies in the national mix, and it now accounts for 21 per cent of the energy matrix. In accordance with Article 22, IV of the Brazilian Constitution, the federal government is empowered to regulate energy-related matters, and states and municipalities are not allowed to enact laws contradicting federal guidelines and regulation. EPE is responsible for studies and research to support the planning of the energy sector by other governmental authorities. EPE also performs technical accreditation of projects that are willing to participate in public auctions. As seen from the above, the Brazilian power sector is highly regulated, and several government entities hold powers in terms of structuring, defining, implementing and supervising the public policies of the sector. ANEEL, however, has a prominent role in this context. As an independent agency, ANEEL's board of directors comprises one main officer and four others appointed by the President and approved by the Federal Senate for four-year terms. ANEEL's internal organisation comprises a number of departments (each related to a specific regulatory subject, such as power production supervision or regulation) responsible for assessing the technical aspects of the matters subject to the board of directors' deliberations. definition of the criteria and methodology to determine the tariffs applicable to distribution and transmission, as well as the review and adjustment of tariffs. participation in ACR public auctions after which, in addition to receiving the relevant licence, the power agent executes CCEARs or reserve energy agreements for the sale of electricity on the ACR. After obtaining a licence, renewable energy projects must comply with the milestones of the construction schedule defined by the relevant licence. When reaching the test operation and commercial operation phases, projects must request ANEEL's approval to become operational. The criterion of lowest price to guarantee tariff affordability to captive consumers forms the basis of the execution of public auctions. When establishing the guidelines of the public auction, MME sets a reference price to the sale of power in reais/MWh, which shall be considered the higher price of a successful bid. The intention of MME is to obtain a discount in the referential price during the auction. For a new power generation plant to participate as seller in power purchase auctions, the entrepreneur must be registered with ANEEL, as well as an enrolment with and a technical accreditation from EPE. MME Ordinance No. 102/2016 sets forth the rules applicable to requests for enrolment and technical accreditation of new power generation plants. ANEEL usually structures auctions for new power generation plants with an inversion of phases, which means that bidders submit their bids prior to the submission and analysis of the qualification documents. The auctions held by ANEEL at the end of 2017 (mainly 'A-4' and 'A-6') established a new technical qualification criterion. This criterion prevents power agents and their controlling shareholders that have had their licence or concession revoked, or have been subject to two or more penalties or fines because of a delay in the construction milestones of one year or more within the past 36 months counted from the release of the auction notice, to qualify for the auction. compliance with ANEEL and other obligations of the power industry. After an analysis of the qualification requirements, the winning power generation plant has the unconditional obligation of execute a PPA. Regardless of the CCEAR providing fixed terms and conditions, the revenue structure, specifically, is associated with the source of power generation, such as wind farms, solar, thermoelectric or hydroelectric power plants. Nevertheless, the CCEAR or CER ensures certified and constant revenue, which serves as satisfactory collateral for the financing of the project's development. As detailed below, in general, the power seller often assigns the CCEAR or CER's receivables to financing institutions as collateral for contracted loans. In this matter, CCEARs allow the assignment of receivables if these relate to the power plant's financing. Brazilian financing structures usually include initial bridge finance from commercial banks to an SPV, which is secured by corporate guarantees provided by the sponsors (i.e., the shareholders of the SPV). This bridge loan is followed by a permanent loan in a quasi-project finance structure, with security interests over the company's assets, shares and credit rights. The typical tenor for bridge loans is between six and twenty-four months. As per permanent loans, the typical tenor varies between 16 and 20 years. For long-term loans, typical project finance customisations between debt amortisation schedules and offtake agreement revenues will generally apply. The majority of these loans in renewable energy projects include the participation of public banks, such as the Brazilian Development Bank (BNDES), the Brazilian Northeast Bank (BNB), Banco do Brasil and Caixa Econômica Federal (Caixa). The banks will generally pass on default risks to commercial banks through lending structures; require a bank guarantee through bank letters of credit for the period prior to the financial completion of the project – understood as physical completion, start of commercial operations and attainment of a revenue stream sufficient for a certain debt service coverage ratio; or both. In both cases, commercial banks require a corporate guarantee from sponsors until the financial completion. Usually, the commercial banks more involved in project-financed transactions regarding renewable energies are Bradesco, Santander and Itaú. As for subsidised debt, since the mid-1990s, BNDES has been the main source of capital to fund all infrastructure projects (renewable energy included), mainly due to the amount of capital made available to the sector and to its subsidised policy of interest rates. For instance, BNDES has a specific credit line to renewable energy projects. However, it is possible that the role of the bank in project financed-transactions will be reduced. Federal Law No. 13,48314 replaced BNDES' long-term interest rate (TJLP) with a long-term rate (TLP) for loans granted by BNDES as of 1 January 2018. In 2018, the TLP is fixed at the same level as the TJLP, and it will gradually increase until 2023, from which time it will be calculated based on the Brazilian inflation rate plus the yield on government bonds. Since the enactment of TLP, we have seen a particular increase in funding from BNB to projects in the northeast of Brazil through the Constitutional Financing Fund of the Northeast, which holds funds constitutionally committed to the promotion of the development of the region. This funding is still provided at subsidised rates, and has one the most competitive rates in the market for renewable energy projects. Moreover, Caixa and the São Paulo State Development Agency also have specific credit lines to finance renewable energy projects. The companies that usually participate in project finance transactions regarding renewable energies in Brazil are Enel Green Power, Canadian Solar, Atlas, Neoenergia, CPFL Renováveis, Rio Energy, Echoenergia, Atlantic, AES Tietê, Contour Global, EDF Energies Nouvelles and Brookfield. In 2012, by means of Resolution No. 482,15 ANEEL regulated micro and mini on-site generation, allowing final consumers to install power generation projects (wind, solar, etc.) in their residence or other commercial or industrial facilities, and offset energy with the local distributor (energy generated is injected into the grid, and is used to reduce the consumption of electricity from the consumer unit). The rule is valid only for consumer units that use renewable energy sources (such as hydro, solar, biomass, wind and qualified cogeneration). Consumers that install on-site generation systems are not allowed to sell any excess energy generated, and the only way they can be compensated for energy produced is through its consumption. On-site generation systems may be micro systems that comprise power plants with installed capacity lower than or equal to 75kW, or mini systems that comprise power plants with installed capacity superior to 75kW and inferior or equal to 5MW. In 2016, the distributed generation system for solar-sourced power represented 99 per cent of the total number of systems installed (and representing 70 per cent of the power installed in distributed systems in Brazil), followed by wind plants. Owing to regulatory changes implemented in 2015, the regulation now allows for distributed generation systems not to be necessarily installed on-site (therefore, the consumer can install his or her facilities in a location other than the point of consumption) provided that all units are in the same distribution concession area. Despite the flexibility provided by the regulation, in Brazil, on-site generation still corresponds to 93 per cent of the distributed generation systems already installed. This high percentage is related to the fact that the majority of generation systems are located in residential consumer units, corresponding to 79 per cent, followed by commercial consumer units at only 15 per cent. Regardless of these statistics, Brazil still has few examples of distributed generation systems located apart from consumer units that are owned by third parties. For example, a relevant player in the Brazilian market has developed a pioneer distributed generation project, which comprises a solar condominium project of 3,420 photovoltaic panels installed in the city of Tabuleiro. This project was structured as a remote self-consumption project, and the system has been rented by a network of pharmacies called Pague Menos for 15 years. As previously mentioned, public banks are in charge of most project-financed deals in the renewable energy sector. The banks, in general, either pass on default risks to commercial banks through lending structures or require bank guarantees through bank letters of credit for the period prior to the financial completion of a project. In both scenarios, commercial banks require a corporate guarantee from sponsors until financial completion. Due to the wide adoption of this structure, it is commonly perceived that Brazil still lacks financing through pure project finance structures. It is expected that the restart of the public energy auctions in 2017 and 2018, as detailed in Section II, will foster even more development of the wind and photovoltaic industries in Brazil. During the past few decades, the federal government has presented initiatives and incentives that have fostered the introduction of renewable energies into the Brazilian mix. Consequently, clean energies today represent 21 per cent of the national energy matrix. For example, wind projects have grown constantly over the years, today reaching 6 per cent of the energy matrix of Brazil. The number of solar projects is also increasing. In the past two years, the number of solar projects grew 70 per cent, and players estimate that by 2030, solar sources will correspond to 10 per cent of the energy matrix. Adequate financial support: in 2016, in view of the recent downturn that has affected the financing ability of national development banks and the Brazilian economy, in general, entrepreneurs have been facing difficulties and struggling while turning to BNDES for financing. In addition, in view of the commercial structure adopted for fund energy projects in the country, it is possible to verify that Brazil still lacks financing through pure project finance structures. Transmission constraints: transmission constraints or lack of transmission capacity prevent the development of energy plants in general, thereby directly affecting the development of renewable energy. During 2012, several wind power projects were unable to start their commercial operations due to the failure of certain transmission companies to construct connecting facilities. However, projects facing transmission constraints are now expressly exempted from liabilities related to regulatory or contractual penalties (when dealing with CCEARs executed in the ACR). However, they are not entitled to receive revenues until a project is completely connected and operational. Equipment suppliers: the federal and state governments still have to develop mechanisms to attract power equipment suppliers to Brazil. For instance, we have an incipient photovoltaic panels market that could help to reduce the price of solar energy in the country. 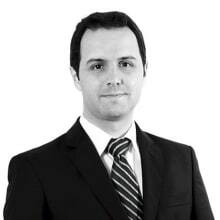 1 Pablo Sorj and Fabiano Ricardo Luz de Brito are partners and Ana Carolina Katlauskas Calil is a senior associate at Mattos Filho, Veiga Filho, Marrey Jr e Quiroga Advogados. 2 Information available at http://www.acera.cl/centro-de-informacion/ and http://www.energia.gob.ar/contenidos/verpagina.php?idpagina=4232, respectively. Accessed on 2 May 2018. 3 'Comparative International Analysis and models of wholesale energy markets'. GESEL UFRJ Studies Group of the Energy Sector. Discussion Text No. 75. August 2017. Authors: Nivalde de Castro, Roberto Brandão, Guilherme Dantas, Pedro Vardiero and Paola Dorado. Available at http://www.gesel.ie.ufrj.br/app/webroot/files/publications/25_tdse75.pdf. Accessed on 10 May 2018. 4 ANEEL Resolution No. 711 of 19 April 2016. 5 All information related to auctions carried out by MME and ANEEL is available on EPE's official website: http://www.epe.gov.br/pt/leiloes-de-energia/leiloes. Accessed on 3 May 2018. 6 Law No. 9,427, of 26 December 1996. 7 Available at https://www.ttrecord.com/pt/. Accessed on 2 May 2018. 8 Resolution No. 766, of 25 April 2017. 9 Nevertheless, since each financing transaction has a different structure, it is recommendable to review and confirm the regulatory implications of the transaction after the structure is defined. In addition, in accordance with Article 4, § 1° of ANEEL Resolution No. 766/2017, ANEEL's approval will be required for the removal or sale of assets related to hydro power generation and its associated transmission lines. 10 Law No. 10,438 of 26 April 2002. 11 Law No. 10,848, of 15 March 2004. 12 Law No. 9,427, of 26 December 1996. 13 Pursuant to Article 2, Paragraph 1, Item III of Federal Law No. 12,431, dated 24 June 2011, all energy projects are deemed priority. 14 Federal Law No. 13,483, dated 21 September 2017. 15 Resolution No. 482, of 17 April 2012. 16 Technical Note No. 0056/2017-SRD/ANEEL of 24 May 2017. 17 Available at http://www2.aneel.gov.br/scg/gd/GD_Estadual.asp. Accessed on 2 May 2018. 18 Information extracted (and updated in accordance with data provided on the relevant company's official website) from the National Agency of Industrial Development). Map of the production phases associated with wind energy in Brazil (2014) available at http://www.abdi.com.br/Estudo_Backup/Mapeamento%20da%20Cadeia%20Produtiva%20da%20Ind%C3%BAstria%20E%C3%B3lica%20no%20Brasil.pdf. Accessed on 2 May 2018. 19 National Service to Support Micro and Small Companies. Map of the production stages of the photovoltaic energy for Small Companies (2017) available at https://drudu6g9smo13.cloudfront.net/wp-content/uploads/2017/07/Apresentacao-SEBRAE-Encontro-Brasil-Solar-Power-06-07-17-RJ2.pdf. Accessed on 2 May 2018.